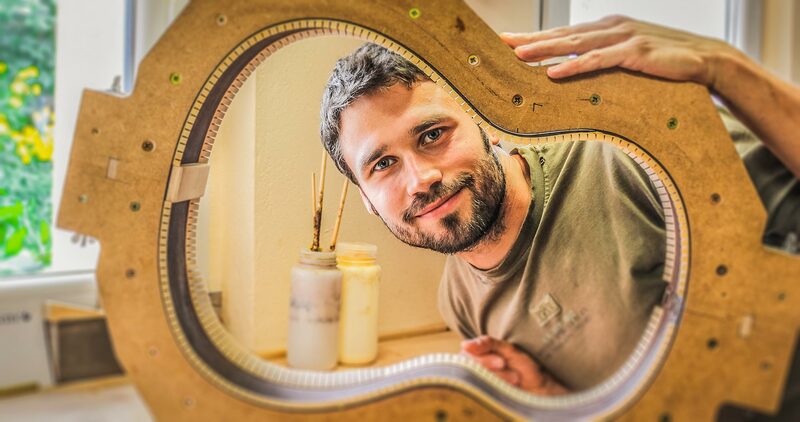 In my workshop in Oelsnitz, a small town in the German Ore Mountains, I have been building classical, western and electric guitars for over some years now. One of my priorities in building these instruments is to realise the wishes and visions of my customers. In many hours of work I use to build wonderful unique guitars. 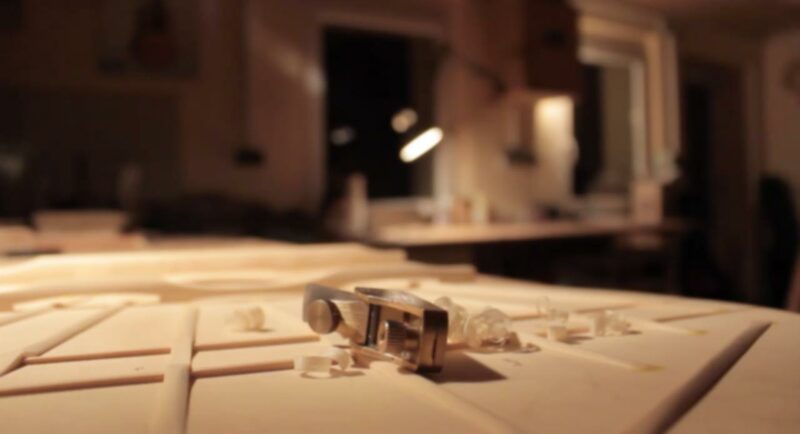 In the process of construction I begin with the selection of wood and continue with ornamental elements, embellishments and individually chosen proportions and sizes. Each of these parameters will make the instrument suit your requirements. Trees have been fascinating me since I was a little boy. Because of that, I want to work with their wood carefully and I want to make the most out of its potential for guitar-making. 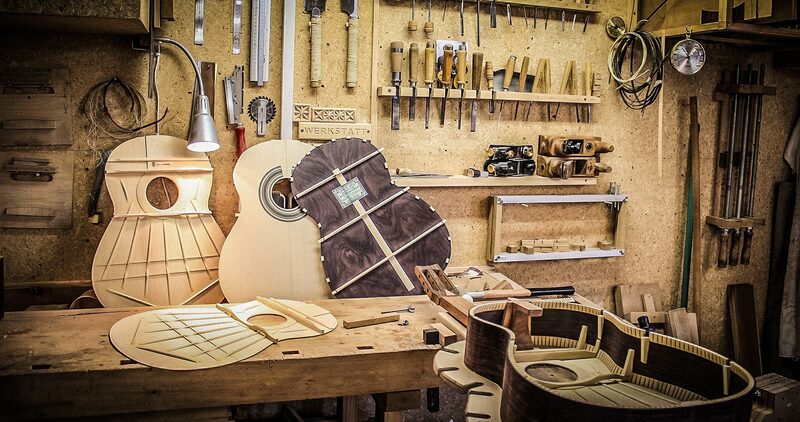 So, I often work intuitively, especially when building the top of the guitar. My acoustic and haptical sensitivity help me open magical dimensions of sound with the guitar. Beside this empirical method, the manual and technical perfection is an essential necessity for a successful construction process. 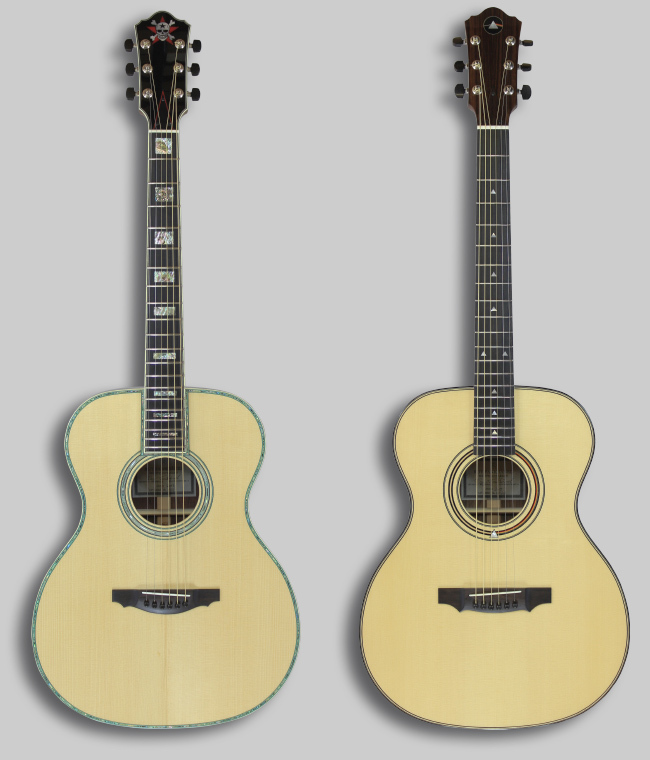 The top of the guitar is decisive for the tonal character of the instrument and can be built with cedar or spruce. For the body, you can choose some of the following sorts of timber: Honduras, Madagascar or East Indian rosewood/ palisander, Cocobolo and many native species like robinia/ locust, maple, walnut or different fruitwoods. 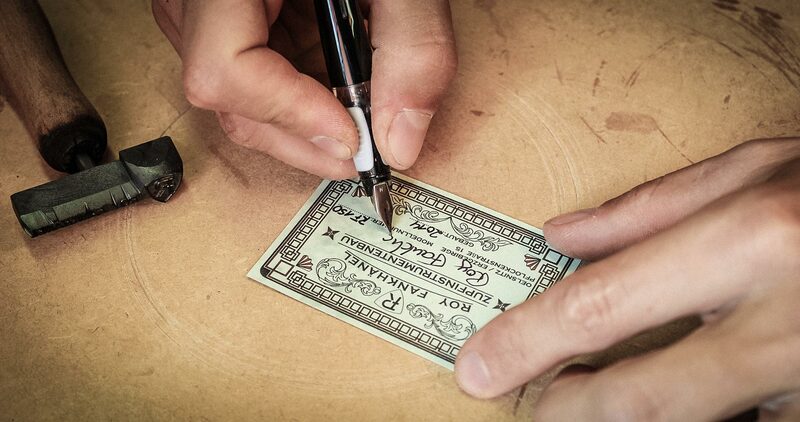 Every ornament on your instrument will only be designed with your agreement and is dependent on your ideas and wishes. We can develop an individual concept together. Surface finishing is variable, too. 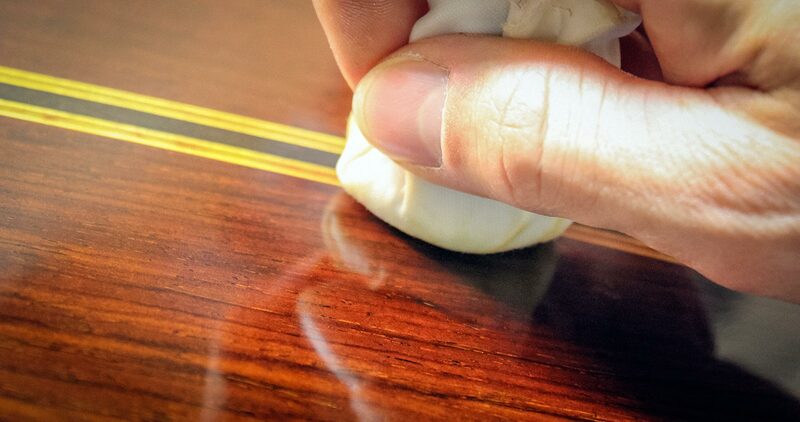 Choices can be made between nitro, hard wax or French polish (consisting of shellac). On the one hand, it is surely a matter of taste but on the other, it is a question of how intensely you will use your guitar. 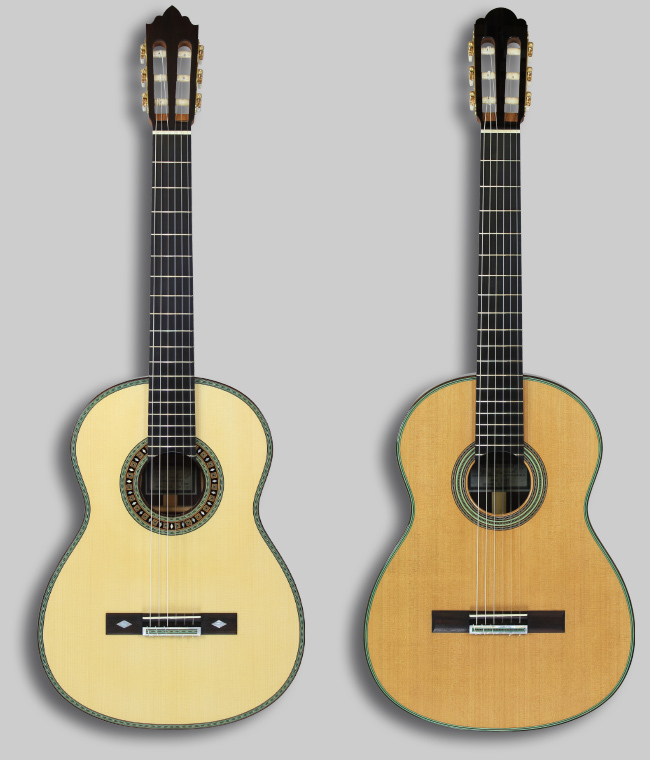 My classical guitars are characterised by a clear sound. The basses are well-balanced and fit the brilliant discant. The easy playability of my guitars makes them perfect instruments for professional virtuosos or hobby musicians. The traditional Spanish way of construction improves their sound, and the curved fingerboard facilitates the playing of barré chords. It is also possible to build an elevated fingerboard to make the playing of high tones easier. The bridge has twelve symmetric holes to fix the strings. The bridge bone saddle is especially formed for better compensation. The bone nut is inlaid into the fingerboard. Upon request, I can also integrate an arm bevel, an elegant solution to prevent the player’s arm from being pressed by the edge of the body. Despite huge selections of electric guitars, it can be hard to find the one instrument you are looking for. 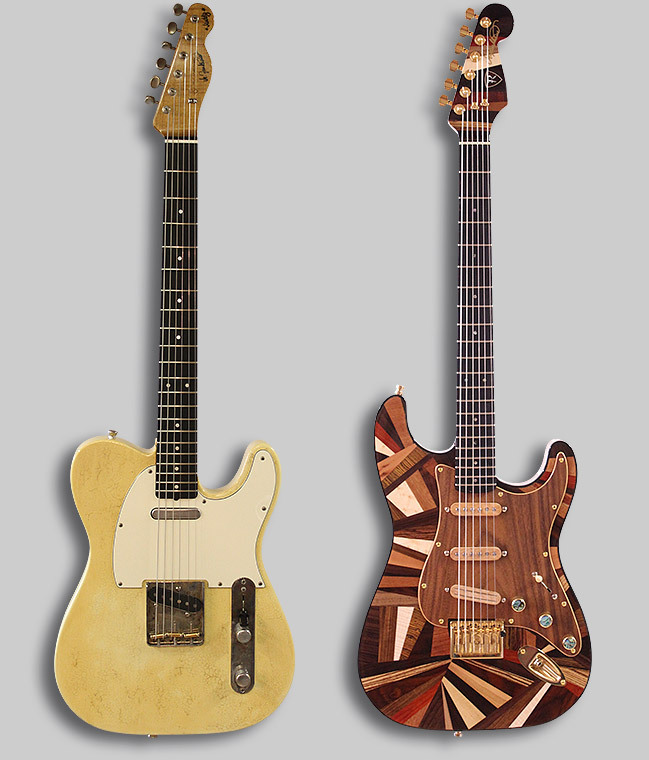 Sooner or later you will come across the term “custom-made-guitars”. These are instruments which are designed according to your needs and desires when it comes to its look, playability as well as configuration and position of hardware pieces. For my instruments, I recommend hardware from “Schaller” or “Sperzel”. For the use of pickups, I prefer the producer „Harry Häussel“, although other brands are also available. The possibility of designing an instrument according to your ideas is almost unlimited. 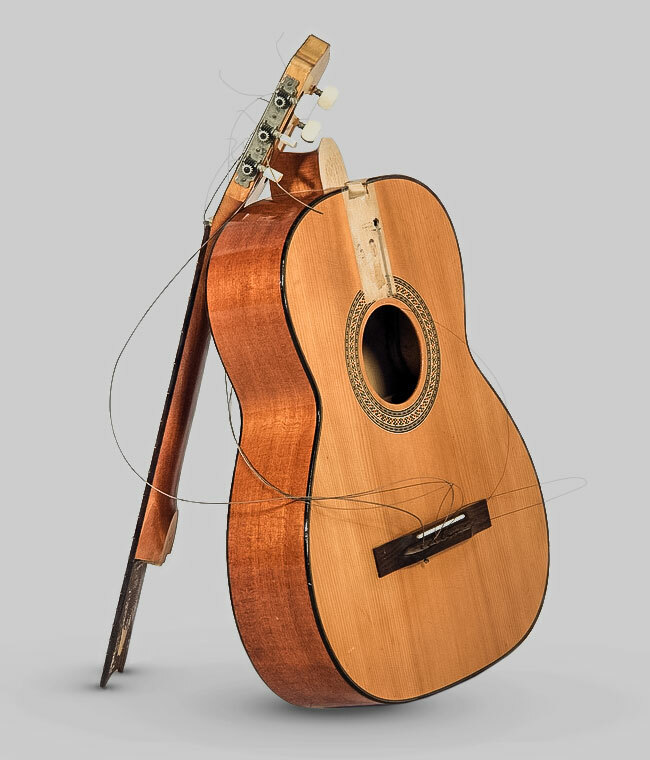 Even classical electric guitars allow for realising your creative potential. 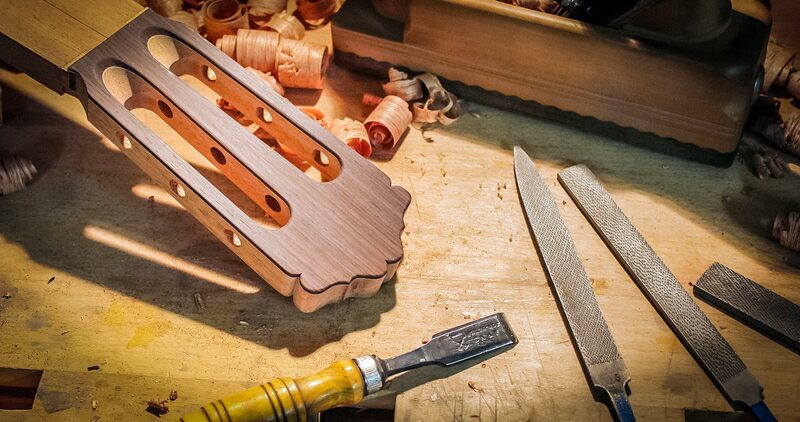 To play a handmade instrument with an own concept highlights the individuality of every guitarist. Similar to all the other instruments, with western guitars you can also realise your full creative potential – starting with the body type (with or without cutaway) and continuing with the look of the rosette, the purfling and the head, as well as the usage of pickups. The size and shape of the body are significant for the instrument’s sound characteristics. It is surprising that smaller instruments may have a strong, balanced sound whereas bigger ones often have more bass. Even though it is unusual, I also prefer the traditional Spanish way of construction for connecting neck and body. 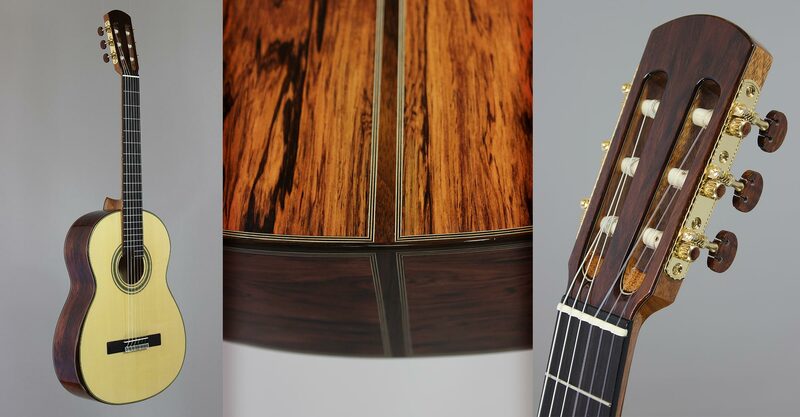 The fingerboard can be curved in different radii and is even available elevated or with fanned-frets. On request, I am able to build every other stringed instrument, too, like Irish bouzoukis or mandolines, for instance. 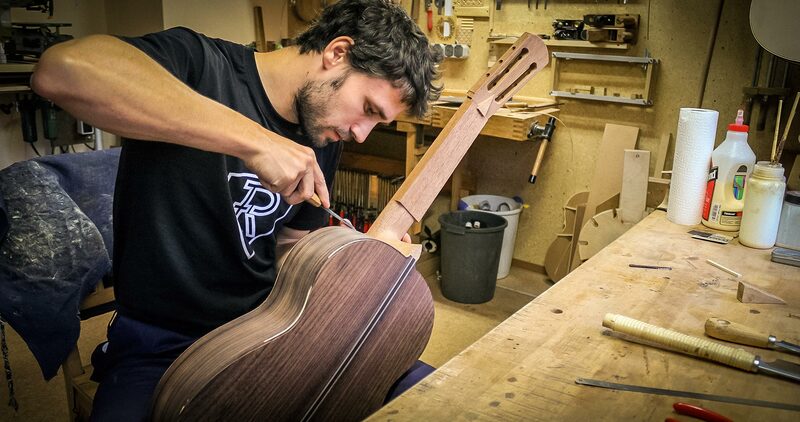 In my workshop, I make repairs, like the change of strings, integration of new frets, correction of the string action, removal of finish damages or glue cracks and so on. I can have a look at your instrument and offer you an estimate first. With your agreement, I will then repair it as fast as possible. I am also able to make certain modifications on your instrument, like reworking the profile of the neck, or changing the top, for instance. Just contact me and I will see what I can do. If you want to buy a guitar, please contact my retailer „Siccas Guitars“. They will advise you to find the instrument that suit your requirements.